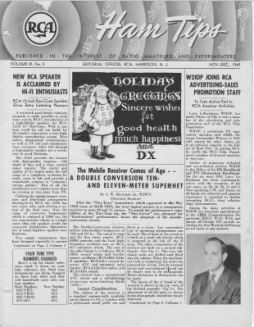 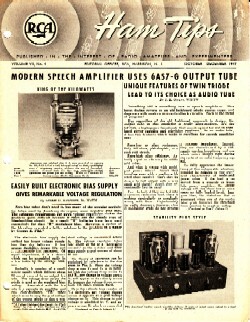 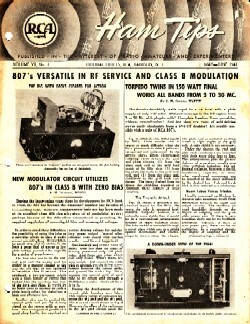 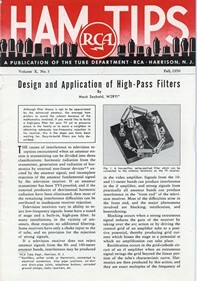 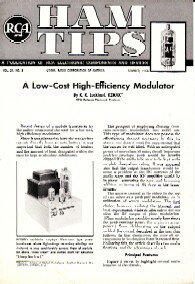 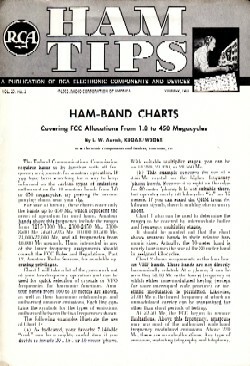 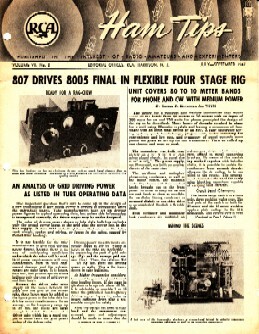 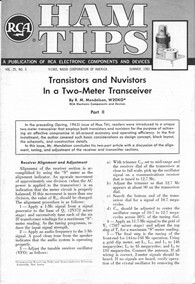 Click on the Volume Number or cover image to display the full issue in PDF format. 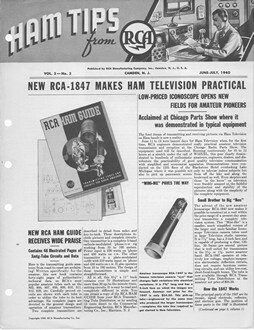 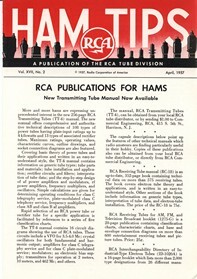 Unlike GE Ham News, this isn't quite a complete set of the RCA publications. 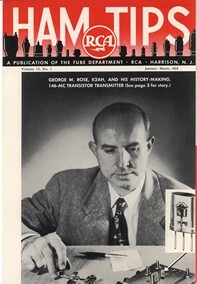 We're getting close but there are still a few holes in the collection. 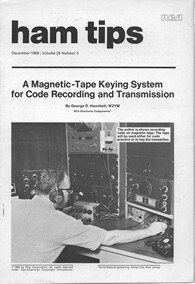 If you have one of the missing copies, please consider scanning and sending the images to me. 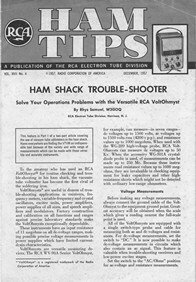 Use the best resolution capable of your scanner and software. 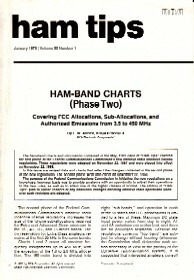 I can accept either a finished PDF document or individual pages scanned as JPG, TIFF, or probably most any image format. 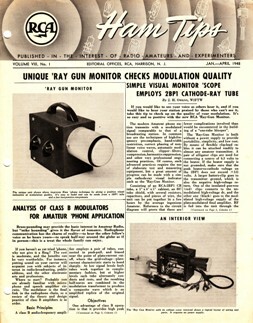 Also, please let me know if you wish to be acknowledged on this web page for supplying an issue. 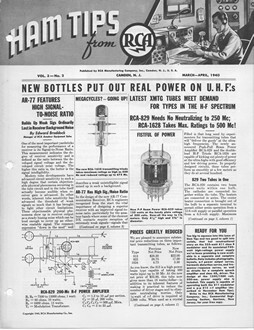 Reinartz Takes Position with U. S. Navy Dept. 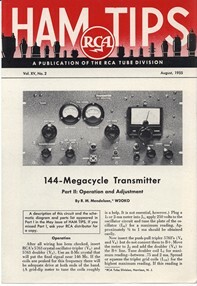 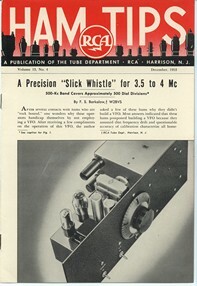 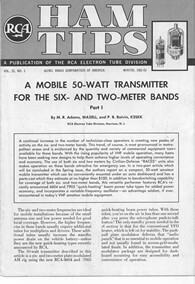 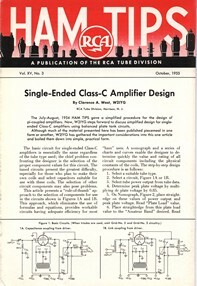 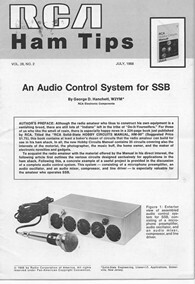 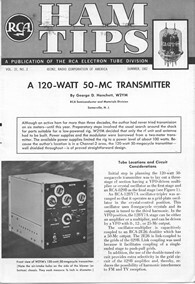 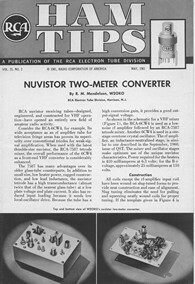 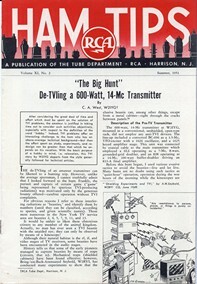 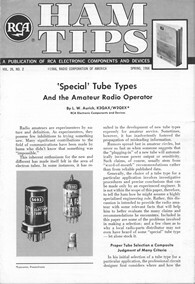 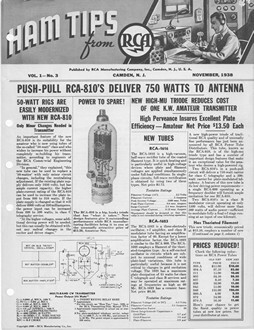 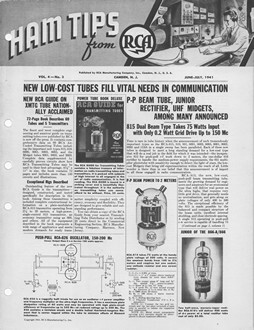 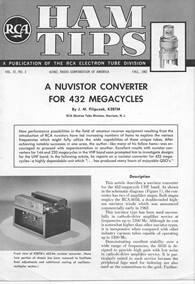 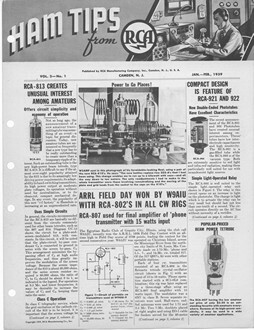 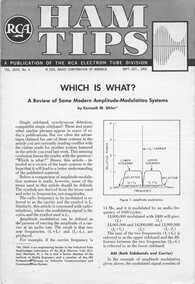 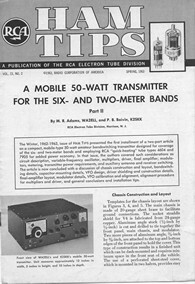 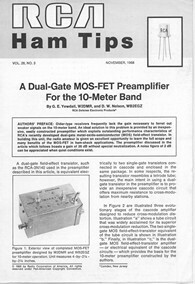 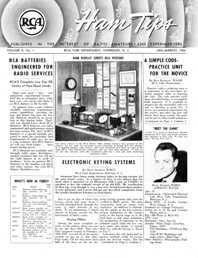 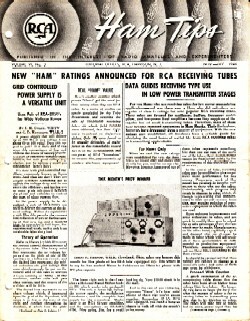 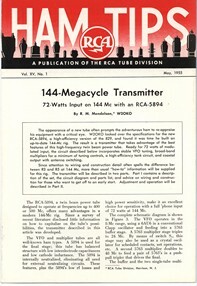 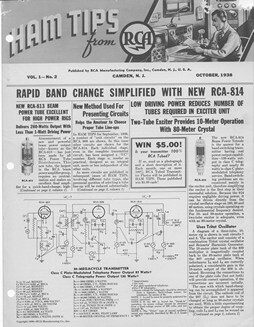 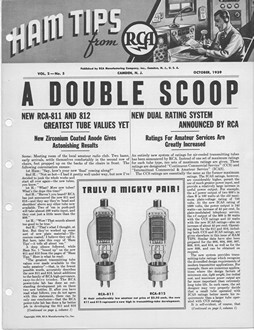 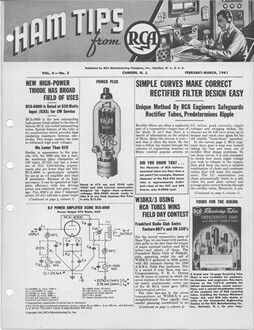 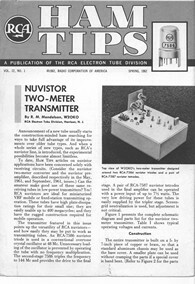 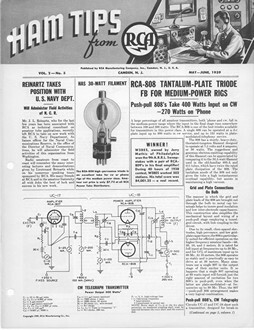 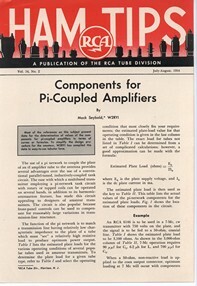 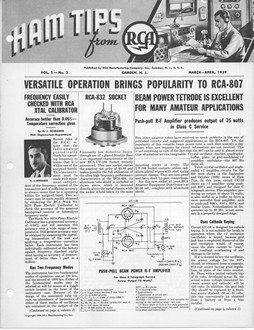 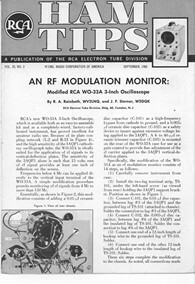 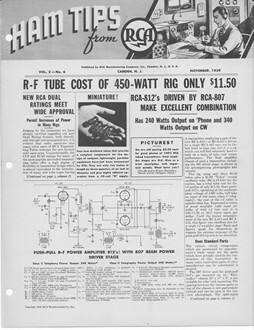 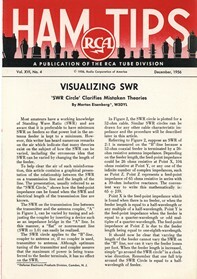 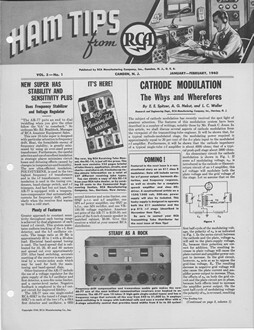 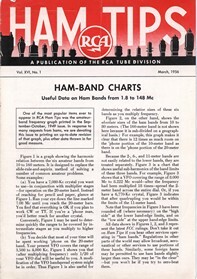 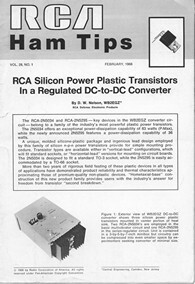 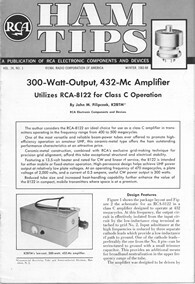 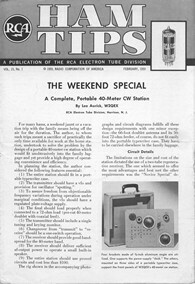 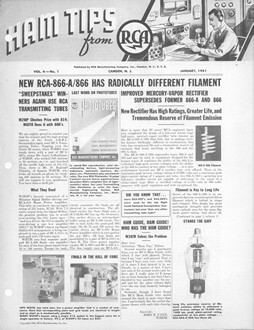 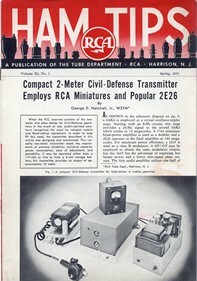 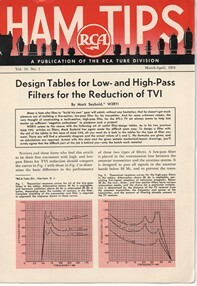 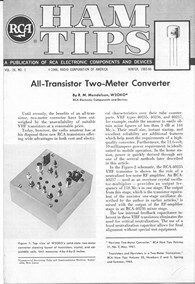 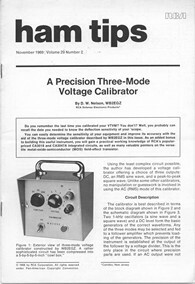 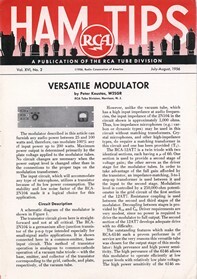 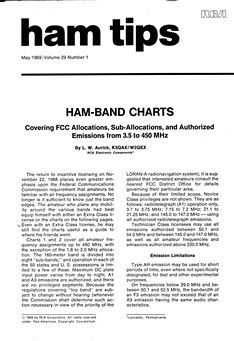 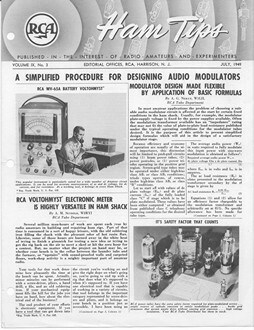 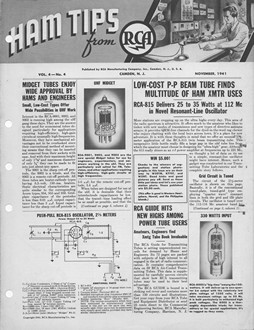 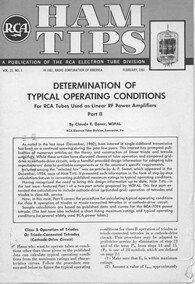 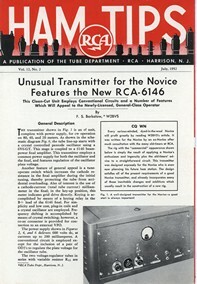 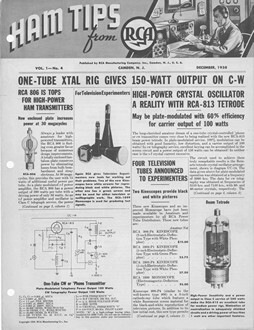 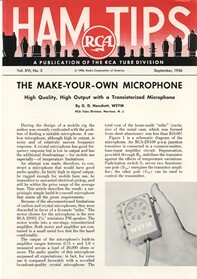 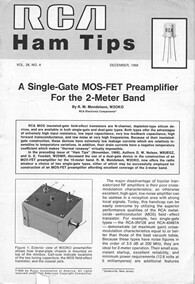 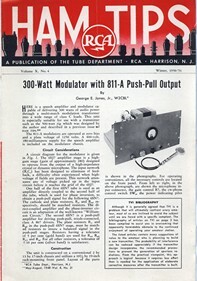 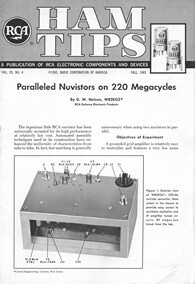 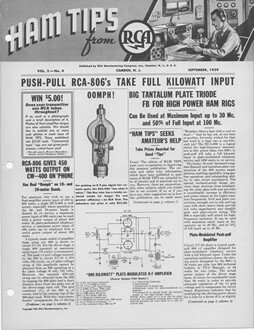 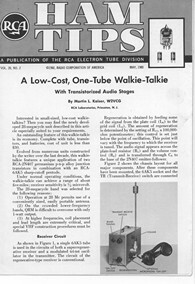 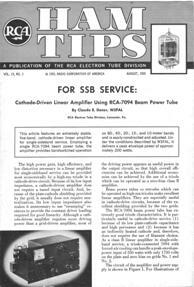 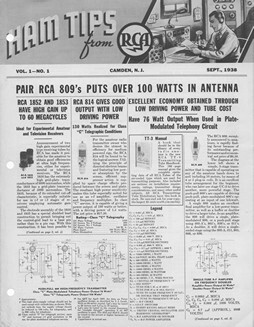 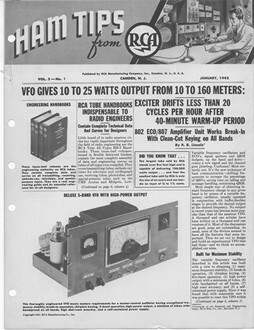 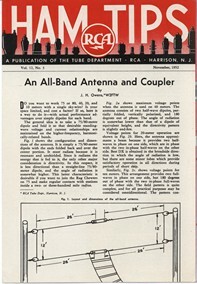 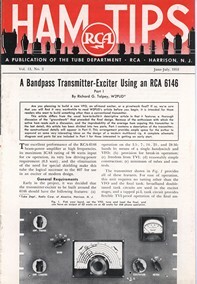 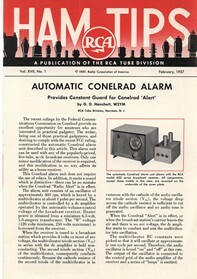 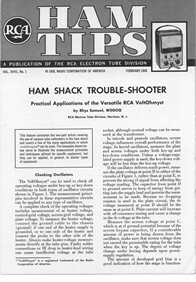 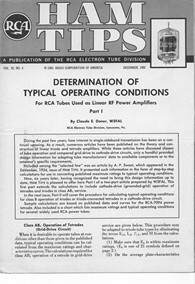 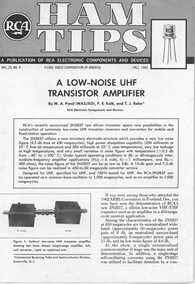 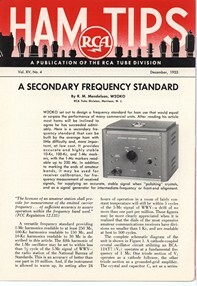 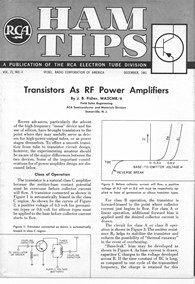 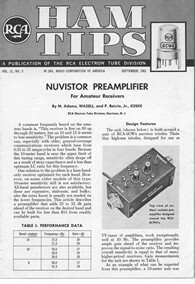 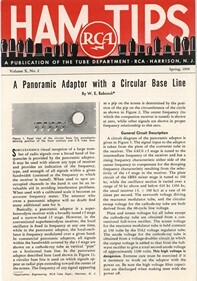 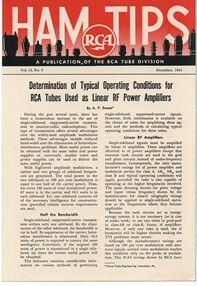 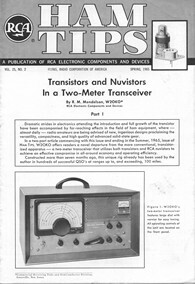 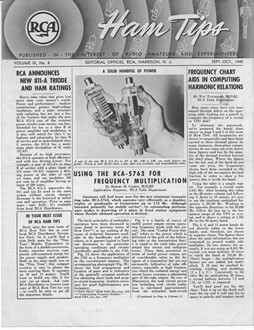 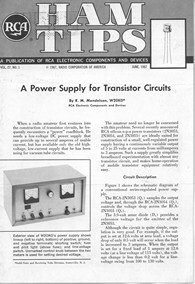 2 RCA-811's Deliver 225 Watts of A. F.
RCA-828 Beam Tube Takes 270 Watts (ICAS) on C. W.
RCA Log Sheets Simplify "Bookkeeping"
New Practical Method Developed for Curing TVI! 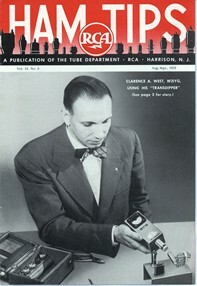 Clarence A. 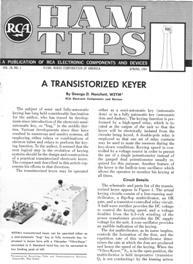 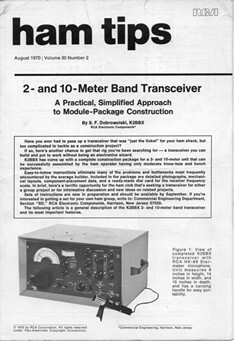 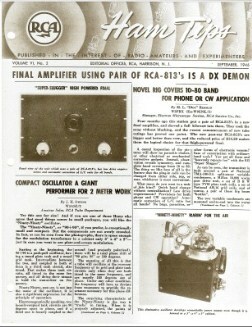 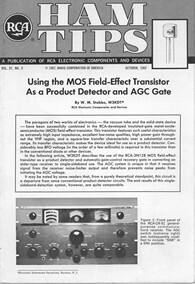 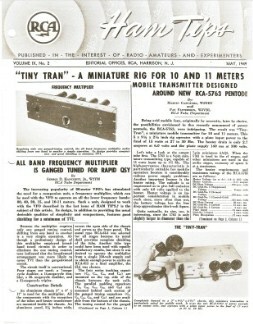 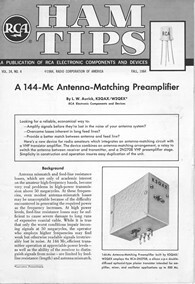 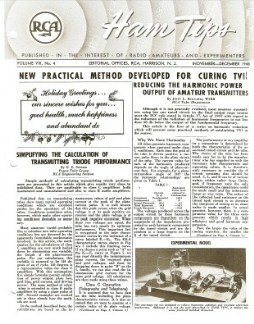 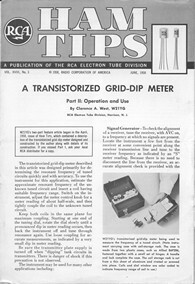 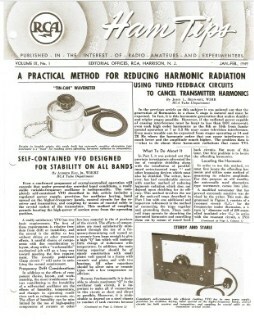 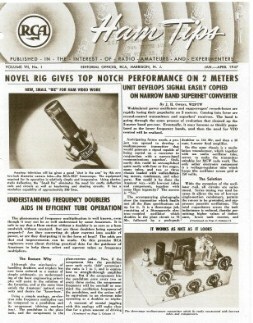 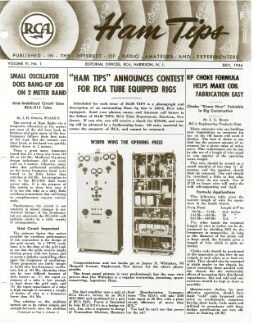 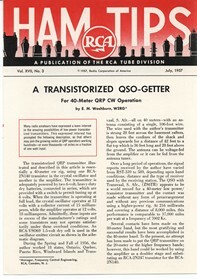 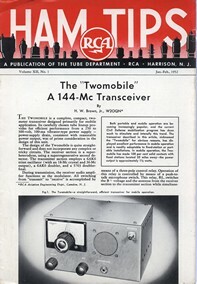 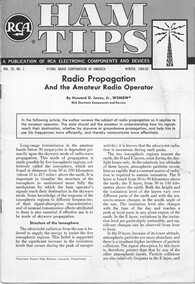 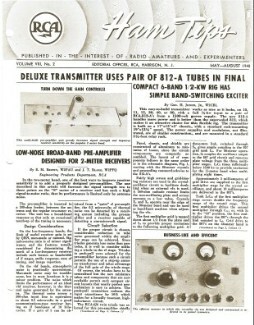 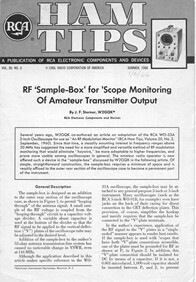 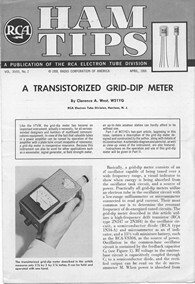 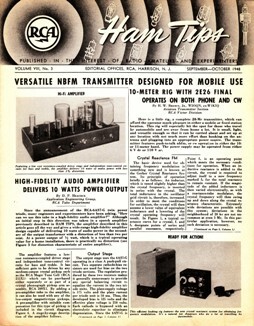 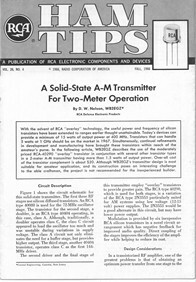 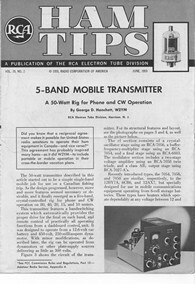 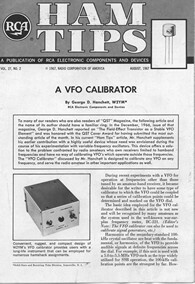 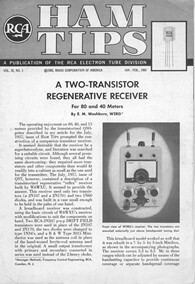 West, W2IYG, Using his "Transdipper"